Stone and shake combine with several gable peaks and impressive windows to create a stunning exterior to this family-friendly home. For fans of the outdoors, this home embraces entertaining with a bayed screen porch that accesses a rear porch and patio. Also accessing the rear porch is the centrally located great room. Featuring a vaulted ceiling and close proximity to the dining room and kitchen, the great room also includes a stunning fireplace. The kitchen and dining room flow effortlessly into one another and the kitchen's diagonal island doubles as a serving bar and prep area. 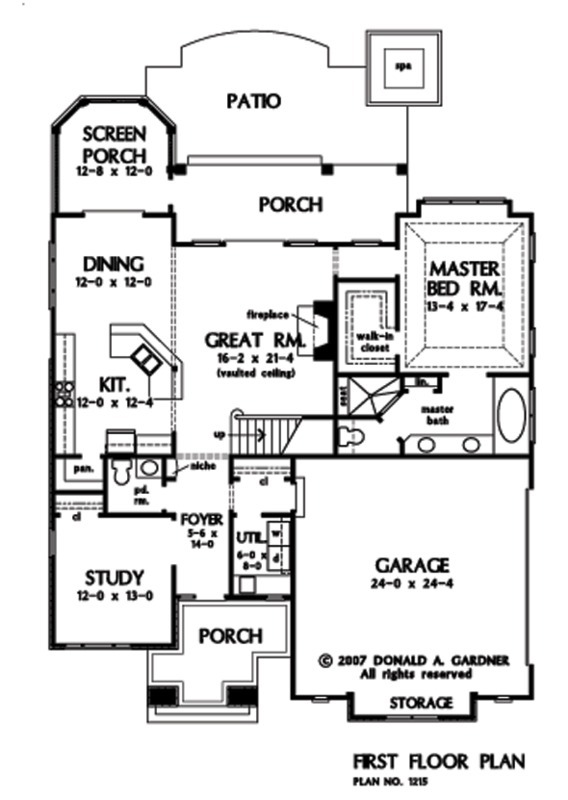 The master bedroom is on the first floor, in a wing to itself and includes a box-bay window and gorgeous tray ceiling. The master bath is a true oasis with twin vanities, a large garden tub and corner shower. 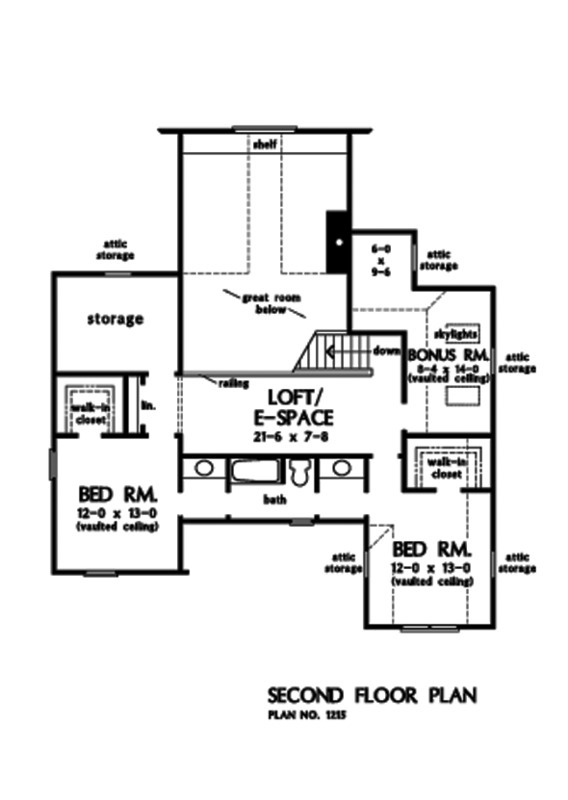 House Dimensions: 49' 2" x 63' 8"
Bedroom #2 (Vaulted): 12' 0" x 13' 0" x 8' 0"
Deck / Patio : 30' 2" x 13' 8" x 0' 0"
E-Space : 21' 6" x 8' 0" x 9' 0"
Porch - Rear : 23' 8" x 8' 0" x 0' 0"
Porch - Front : 11' 10" x 5' 0" x 9' 0"
Porch - Screen : 12' 8" x 12' 0" x 9' 0"